Man that was cold! 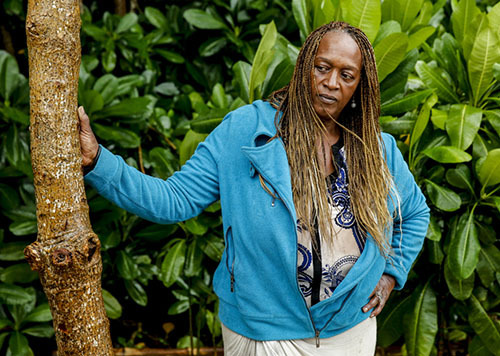 Like, I’m not going to try to steal your jacket or anything, but there was definitely a chill in the air during this week’s episode of Survivor, and I’m not talking about the cyclone winds that led to the second-ever island evacuation during the game (for those keeping track, the first one occurred during Season 33, Millennials vs. Gen-X). As I do at the beginning of every Recap, please heed the following: Remember that this recap assumes that you have already seen this week’s Episode 5 of Survivor: David vs. Goliath, so if you have not and don’t want to be spoiled, please come back later! It’s important to add too that while we WILL hit on all of the important developments of the episode, this is not a linear “blow-by-blow” recap, and is more of a discussion and reaction of what we just witnessed together. So much to get to, where to even begin this week? I sort of have to start with Natalie, right? We all knew that Natalie’s torch was going to get snuffed at some point this season, and it finally happened during Episode 5. Ironic, that Natalie was still able to give the cold shoulder AND keep her jacket. All this nonsense tonight about a jacket! Never have I seen such a thing, and talk about the giant-sized balls on Angelina. 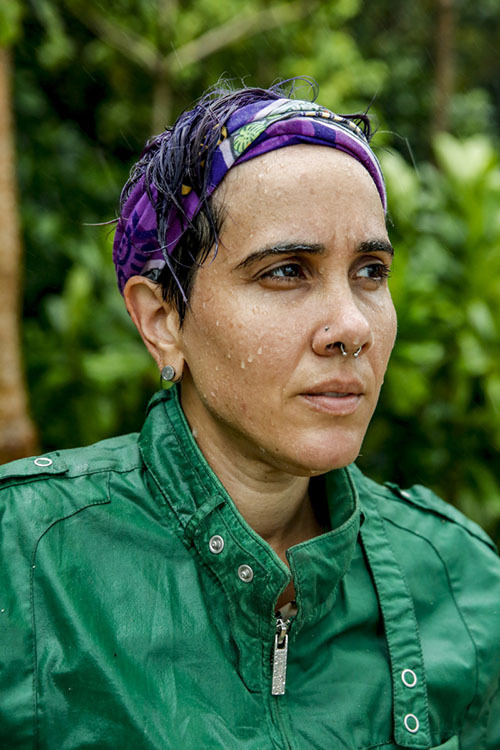 Being in the midst of a game as brutal as Survivor does take a toll on a person, and I think that Angelina would agree that she was a little too centered-in on her own personal comfort, rather than being cued in on the game’s big picture. I mean, easy for me to say from the comfort of my couch with a blanket over my feet, but to make jackets such a big part of the game is definitely unprecedented, and agreeing with Nick, for sure was going a bit too far. It’s one thing for her to casually mention or joke about wanting another person’s personal possessions, but Angelina was serious…she would have done anything for a frickin’ jacket. Whether Nick’s, or Lyrsa‘s, or Natalie’s, Angelina just wanted a jacket, and was willing to potentially steal to get it. Not only is that not cool (no pun intended), but it just crosses a line, in a game known for its unethical (lying, etc.) tactics. With Mike living up to his constant “I can’t go on with Natalie” rhetoric, we have now seen two straight Goliath’s leave the game, both ousted by the actions of just one other Goliath and not unanimously. 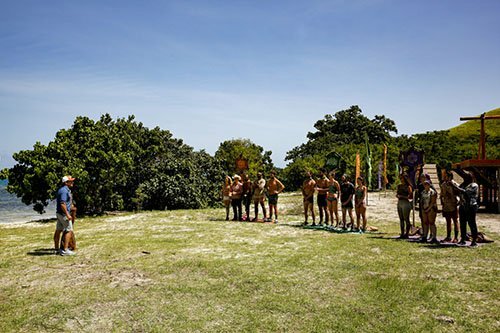 As Angelina stated during the ep, we now are evened up at 7-7 when it comes to Davids vs. Goliaths, which seemed impossible just a few short weeks ago, when the Goliaths drew the majority 3-2 count on each of the three newly-formed tribes. There definitely seems to be much more dissension among the Goliaths, and as we see in the preview for next week (with Alison eyeing a blindside of Dan), it looks like this season might just play out the same way it did in the story’s source material (that would be the Bible for those wondering). 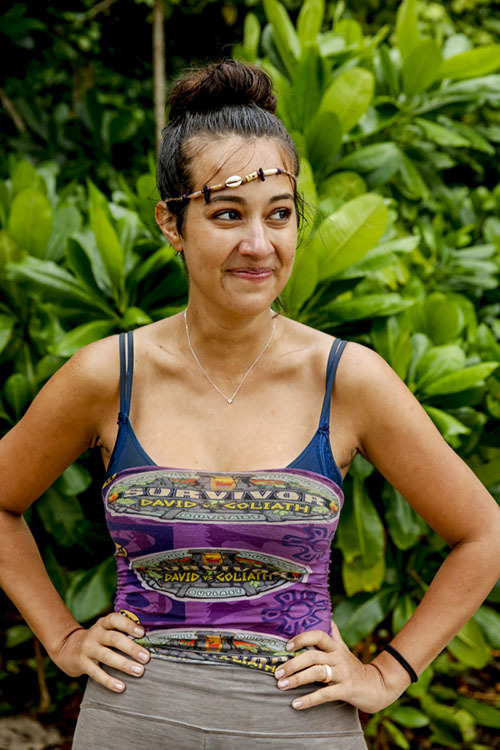 Natalie, of course, was great television, and Survivor always seems to have at least one character like her…in the sense that there is always a pre-merge personality who brings some drama and entertainment value but usually doesn’t last all too long. If I’ve ever been intimidated going into an exit interview (coming Thursday! ), this is the one. I don’t feel too bad after seeing even Jeff tiptoe around her during Tribal Council. Natalie, like the cyclone that hit the island, is a force of nature that seemingly has the power to destroy whatever is in her path. Speaking of that storm, that was something else, huh? As I mentioned, this is only the second time in Survivor history that the weather conditions were so bad, that it led to Probst actually evacuating the islands during the game. I guess that’s the gamble you take when filming in Fiji during the stormy season. My question though, that I subtly picked up on during the episode, was that the storm was shown as hitting on Day 12…the next glimpse we got of the tribe was at the Reward Challenge, where it was mentioned that it was Day 14. Does that imply that they were off-island for almost two whole days? That’s sort of a big deal. Like, did they all get to sleep in beds? Communicate with each other during this time? Eat real food? I can’t wait to find out. With the whole “jacket-gate” situation, a lot of other big developments were over-shadowed. Dan found his second hidden Idol, that son-of-a-gun. We got to hear Alec‘s explanation of his seemingly bone-headed blindside of Natalia last week, which led to Kara pretty much turning on him (as was expected). Davie made me laugh out loud once again, with his “KBC” (Kentucky Boiled Chicken) reference. And we got a lot more of Natalie, with her fighting over eggs, and telling Jeff Probst at Tribal that she is “never the center of drama” in her real life, nor does she accept his observation that she always needs to have the last word. Back to Angelina for a second: Just wow. I keep re-watching her ask Natalie for her jacket, right after Natalie’s game was ended. While it was funny, and a bit uncomfortable to watch, it also was important: Angelina just showed her tribe that above all, Angelina is concerned most with Angelina. 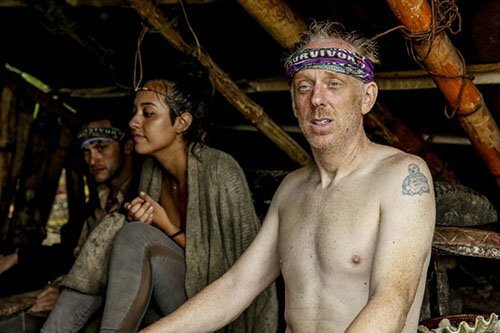 I mean, having your dreams of winning Survivor ruined is a pretty terrible moment, and hearing Jeff tell you to “bring me your torch” can be soul-crushing. Disregarding all of that, Angelina thought it would be a good idea to ask Natalie for her jacket? And what was that hug for, one last attempt to pull some body-heat off of her? The tone-deafness and lack of tact in that situation will most definitely come back to haunt Angelina, just you wait. You think you’re cold now? Just wait until that torch gets snuffed! Episode Take-Away: Another solid episode, and for what was a fairly predictable outcome it sure made for good television. Things are coming together nicely if you’re like me, and don’t like watching one majority alliance slowly crush the other side. We’re now at even numbers and there are a lot of interesting inter-tribe dynamics at play so far. If there was anything negative about this week’s episode, it was that I wasn’t given my weekly dose of Nerd-mance, as there were no direct interactions between Christian and Gabby (come on CBS!). But I did get to hear the word “bro-chacho” about four or five times, which I guess is fair compensation. And as to if Mike made the right decision tonight in voting out Natalie, I know I gave Alec a lot of grief last week for basically doing the same thing. But the way Mike handled it was so much more appropriate…there was no whispering, no waffling, at Tribal. Whether or not it was a good game move for Mike remains to be seen, but if you consider Mike’s strong alliance with Nick (I refuse to mention the alliance’s name), and the fact that most of the other Goliaths will understand a Natalie vote-out over a vote-out of pretty much every other Goliath member, well, I think Mike made a good decision. He has options at this point, or I guess you can say, unlike Natalie, he didn’t put all his eggs in one basket (Aaah, it feels good to get that pun off my chest, as I’ve been waiting all night to get that one out of my system). Next Week’s Episode: “Battle lines are blurred,” says Jeff Probst, as we see Mike turning on Angelina, Elizabeth getting upset with Davie, and Alison possibly befriending Gabby. Quick Note! I appreciate that you are reading this Recap! But all season long, remember to return right here to Reality Tea for my FilmSurvivor Podcast on Thursday, where you can listen to my full exit interview with the eliminated contestant. This week I will be chatting exclusively with Natalie Cole. Those that have followed me also know that I am a RottenTomatoes-approved film critic, and I encourage you to check out my weekly movie reviews (like “Hunter Killer,” and “Beautiful Boy” this week) as I am also the national film critic for AXS.com and am a movie critic/TV personality in the Detroit area. As always, the easiest way to get all of my Survivor coverage and movie reviews is to follow me on Twitter – @tomsantilli – or on Facebook. TELL US – WHAT DID YOU THINK OF TONIGHT’S EPISODE? DID MIKE DO THE RIGHT THING? AND IS A MEMBERS-ONLY JACKET EVER WORTH A MILLION BUCKS? Married at First Sight: Honeymoon Island Recap — Is Chris Already a Player?